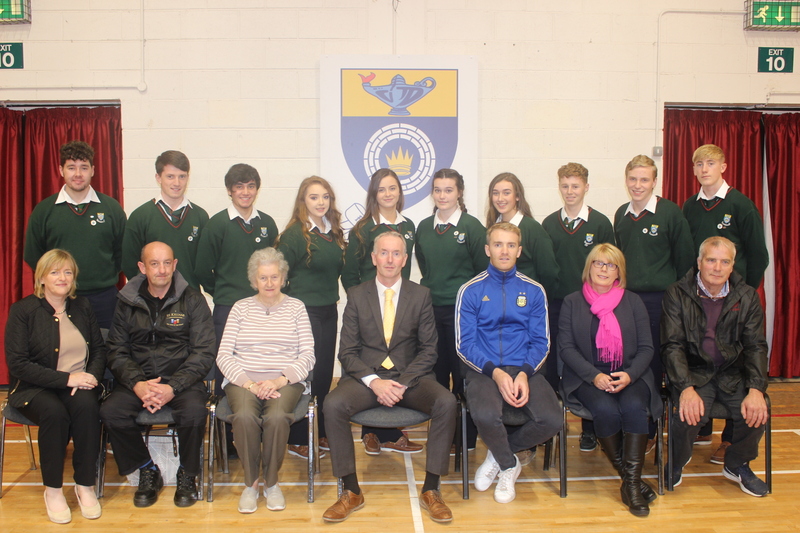 Leadership Day took place in Cashel Community School recently. 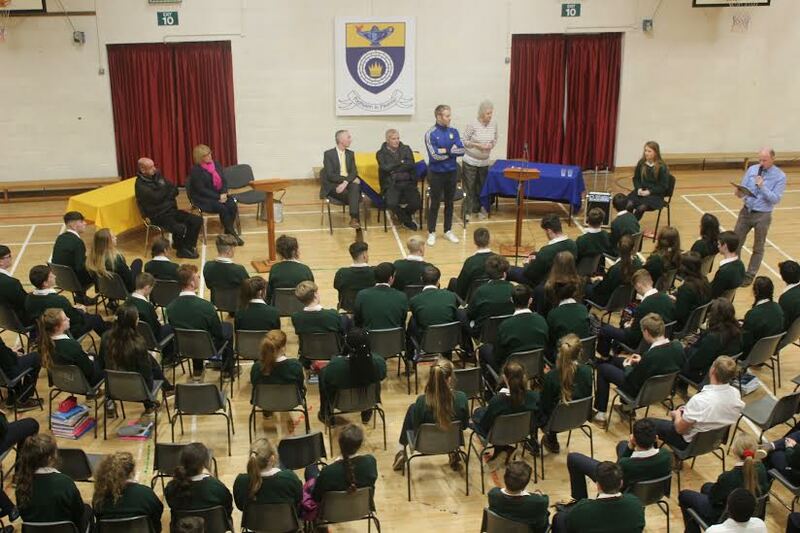 This was a day set aside to acknowledge the achievements of students who have taken on a Leader’s role in our school. Orlagh Lacey spoke on behalf of the student council and thanked Tipperary Hurler Noel McGrath for his commitment to attend and his own example as a leader. 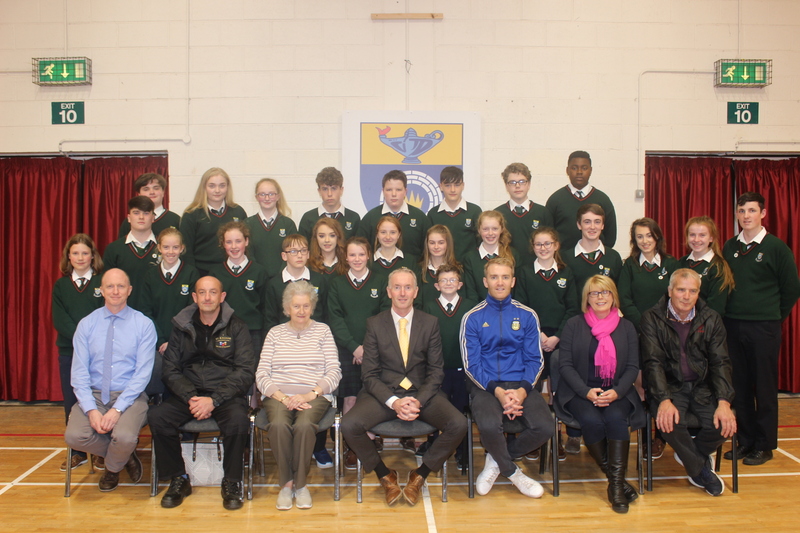 Orlagh went on to explain what leadership meant and especially what it meant here in CCS, namely, showing good example and influencing the people around us positively. 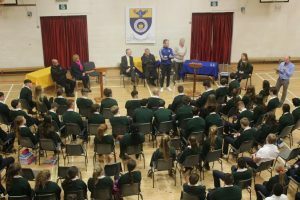 Guest of Honour Noel Mc Grath spoke highly of the venture and really connected with the students. He spoke of the value of perseverance and placed high importance on teamwork. The gathering also heard from Mr Gallagher (Principal) and Mr. John Murray (Deputy Principal) both of whom applauded those who were acknowledged as Leaders and thanked members of the Parents Association for their support and attendance. 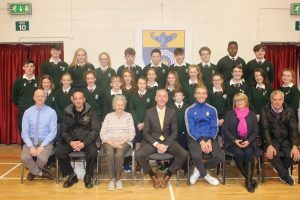 Students with Principal John Gallagher, deputy principal John Murray, Noel McGrath & Members of the Parents Association.